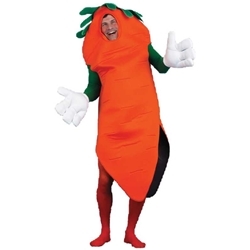 Carrot Adult Costume. Orange Smock style costume with open face front and green leaf design top. Unitard and gloves not included. Adult one size.